Sea Rescue tops as the most pressing issue facing South Africa. 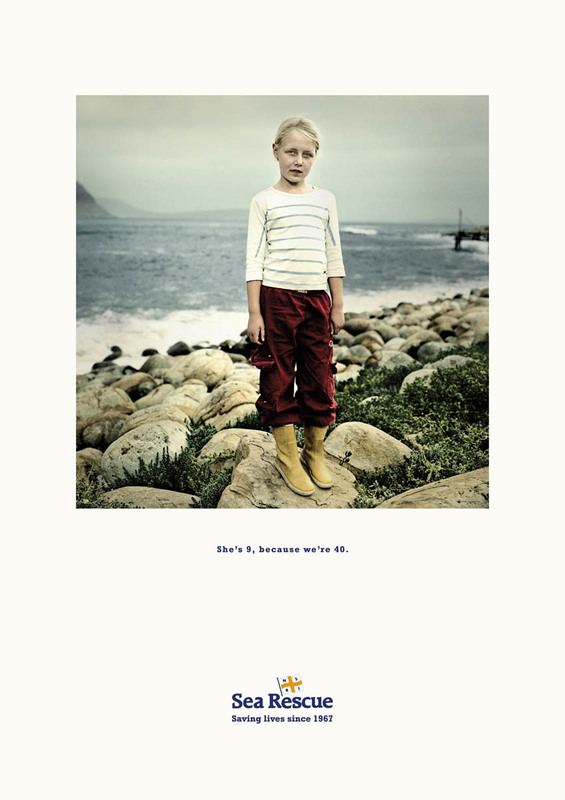 Surprisingly, Ogilvy Cape Town has gone the other way and created this simple and wonderfully focused campaign. Color me impressed. Click and this little girl will grow up. Banksy — now in your computer screen. The San Francisco Museum of Modern Art has a new project, ArtScope in which their entire collection is presented in a website in a breathtaking manner. It is a neat way to use all the new web tools to present creative work, well…creatively. Diesel is celebrating its anniversary across 17 cities around the world. So of course, they have to do something awesome like this. The funny thing is the SFW part, especially in a video where the unseen is far boring and lamer than the seen. Does anyone know the people behind this? I can’t seem to find the credits.